Questions regarding scholarships? Email us at UWSP.Scholarship@uwsp.edu. Scholarships are awarded independently of the Free Application for Federal Student Aid (FAFSA). Incoming freshman scholarships are based on merit, not financial need. 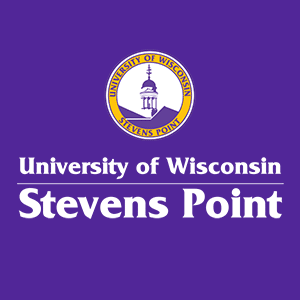 Priority scholarship consideration will be given to students who have submitted their application for admission and the new student scholarship application to UWSP by November 15. Automatic scholarships are awarded to both First-Year and Transfer students who meet certain academic criteria. Most academic departments also have scholarship money available, both for new freshmen and continuing students in their second, third and fourth years of college. Students are encouraged to contact the department of their intended major to explore these additional scholarship possibilities. A full scholarship listing is available here. There are scholarships available for non-traditional, undergraduate students that are not connected to a particular field of study. One letter of recommendation from a faculty member is required when applying to any of these scholarships. The below links are to Wisconsin area Community Foundations that manage and award numerous local community scholarships. Find your home residency community foundation below for more information and how to apply. Scholarships that sound too good to be true usually are. Don't waste your money on fee-based scholarship matching services since it's likely you won't get any better information than you get from the free services available on the web. Learn how to recognize and protect yourself from the most common scholarship scams. Fast Web article on "Top Ten Myths About Scholarships"
Time Money article on "5 Little-Known Ways to Boost Your Scholarship Odds"